And what a charming block it is! 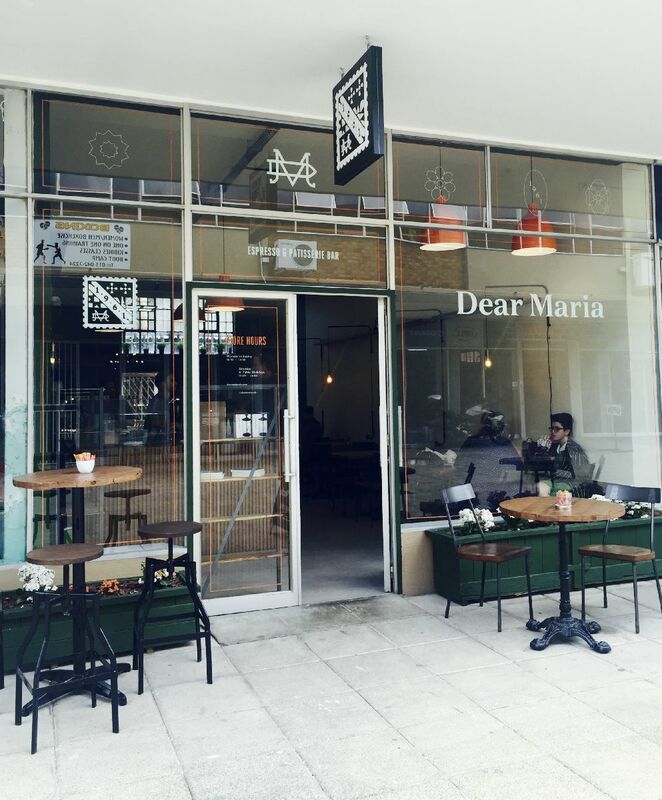 Nestled down an interesting alley in Bedfordview, Dear Maria, is an oasis of speciality coffee and it's certainly a coffee destination to put on your list. The quaint shop front and the beautifully designed interior with warm green and orange as the palette have been carefully curated and many of the furniture pieces were hand made by Sean and his team, one piece at a time. And then there's the beast of an espresso machine sitting pride of place on the counter. 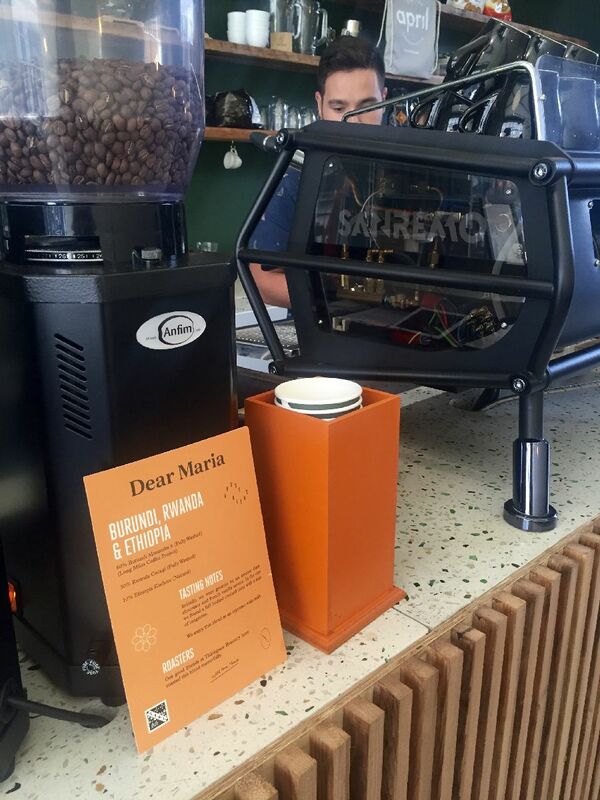 "We thought that we would just slowly ease into it and find our feet, but then we bought a Sanremo Cafe Racer and people started to hear about us." says Sean, the owner. 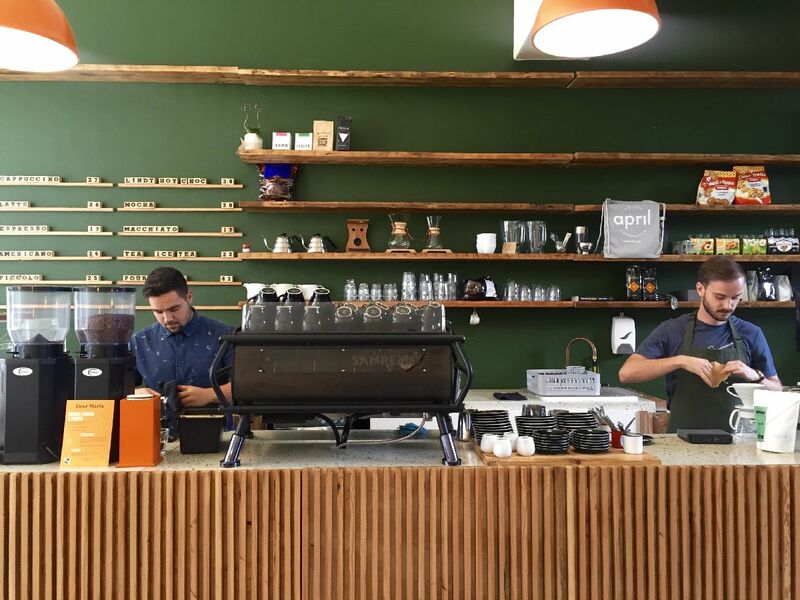 A labour of love, the café was conceived as a multi-roaster espresso bar dedicated to Sean's mother and her Italian Moka Pot morning ritual as he was growing up. Having completed a law degree and finding himself working in the tech industry, Sean realised it wasn't the life for him. So he's thrown himself heart and soul into the coffee world. The passion glows out of every detail in this little cafe. 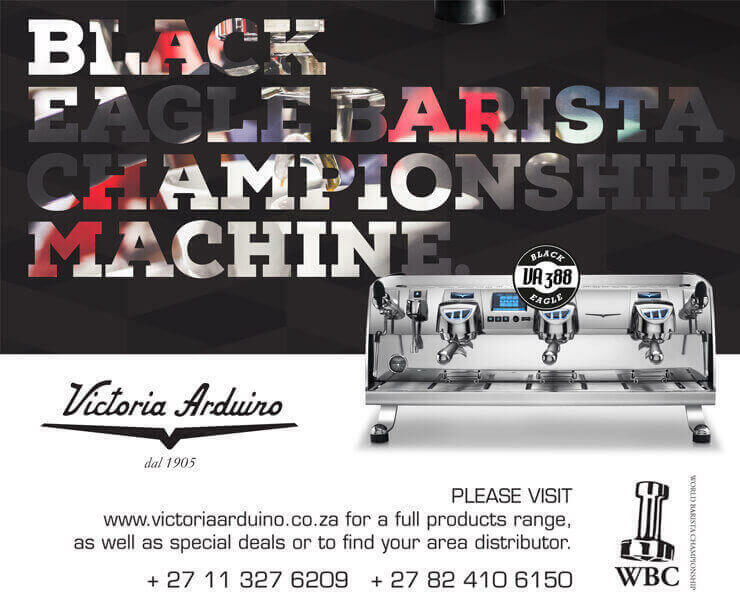 What does being a multi-roaster cafe mean, you may ask? Well, simply put, they always have more than one Roaster's beans on offer. 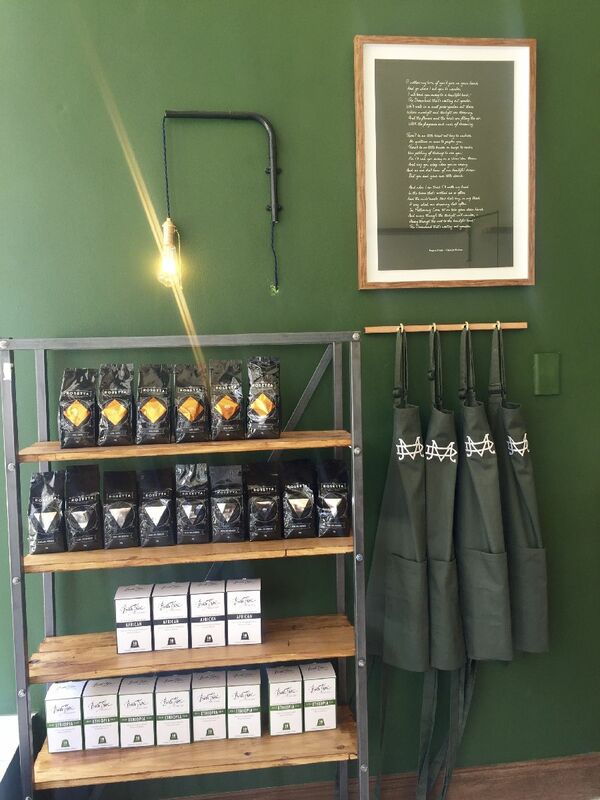 This is not common practice in South Africa, where most cafes pledge allegiance to their preferred roaster, so it's an interesting point of difference for this tiny haven of damn, fine coffee. They have a house blend roasted by Thirdspace and they feature a new roaster each month, we tasted a Colombian Caturra from April Coffee Roasters based in Copenhagen and they also had an Indonesian single origin from Rosetta Roastery. "I don't want to be a roaster, it's not where my passion lies and I love tasting new coffees, so with the multi-roaster approach we get to experiment and take our customers on the journey with us." 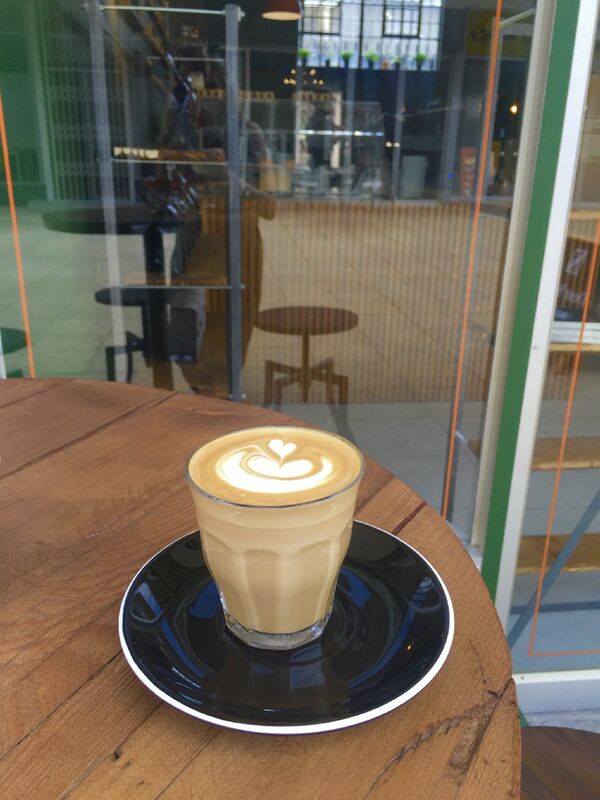 Jacques made us an excellent cortado with the House Blend (Iain's comment: "Shew, that is world class!") and Sean brewed our tasty pour over. The feeling you get from this space is one of sincerity. You have to appreciate their dedication to only serving speciality beans and educating their customers one cup at a time. They've only been open a couple of months, but we look forward to seeing them grow.